Having a little on in daycare or school can be stressful. Now, add in a letter from the school or center that there is a case of head lice going around and the stress level sky rockets. Yes, we know our children will survive a case of head lice. But it’s a lot of work to rid your child, family and house of lice. 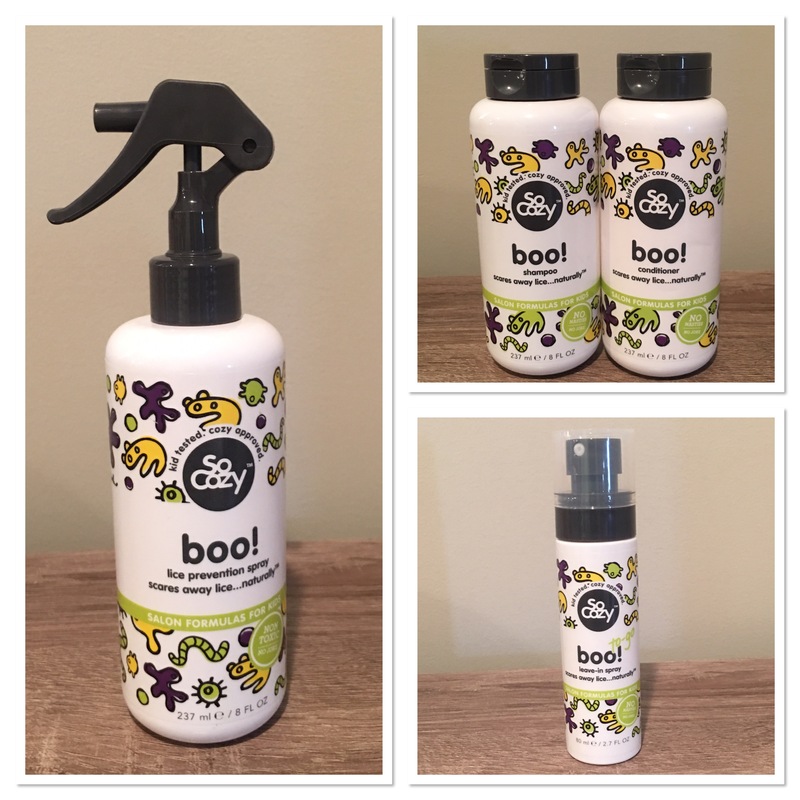 So Cozy has a line called boo! that is a natural way to keep head lice at bay. With school starting tomorrow, I’m looking for any way to get an edge on head lice. So far, knock on wood, we’ve been fortunate enough to never have gotten head lice. But I feel like it’s only a matter of time. Tonight, I washed Peyton’s hair with the boo! line. Now, Peyton has curly hair so I can’t use just any shampoo and conditioner on her hair. She needs a light shampoo with a hydrating conditioner. Now, Peyton has curly hair so I can’t use just any shampoo and conditioner on her hair. She needs a light shampoo with a hydrating conditioner. 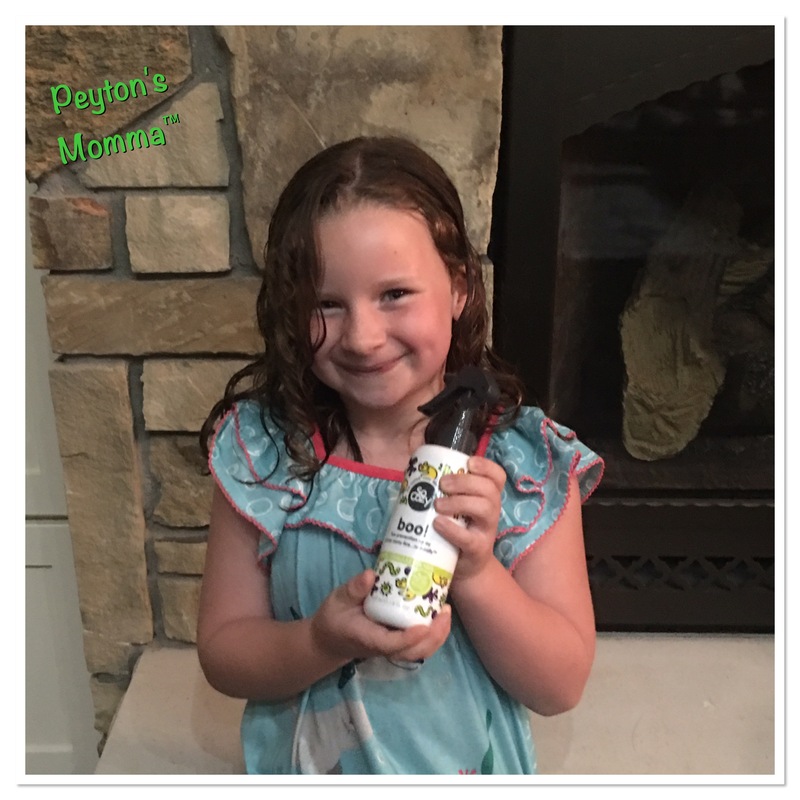 Over the past few years I have discovered a natural, sulfate free, phthalate fee and paraben-free hair products work best with her hair. Each one of these ingredients works at repelling lice, soothing your scalp, strengthening your hair and improving the overall health of your hair and scalp. Next up was the conditioner. I could tell it was hydrating because Peyton’s hair absorbed it fairly quickly. Also, both the shampoo and conditioner were easy to rinse out. There was no waxy feeling just clean, smooth hair. When it came time to brush Peyton’s hair out I used the boo! spray. I spritzed her hair and then used a wide tooth comb. We were done within a few minutes! All the products work together to create healthy hair. I could tell the conditioner really did it’s job and we did not have very many snarls to work out. We will definitely be using So Cozy boo! products to help prevent the chance of attracting head lice. Because So Cozy is gentle we could use this daily on Peyton’s hair.